New York police on Friday fatally shot a man they say was attacking his domestic partner with a butcher knife. Chief of Department Terence Monahan said two officers responded to a 911 call at around 7 a.m. from an apartment on Manhattan's Lower East Side. "The 911 caller said that his partner had him barricaded in the bathroom," the chief said. When police arrived, the caller was freed and told officers the other man was in the rear of the apartment. 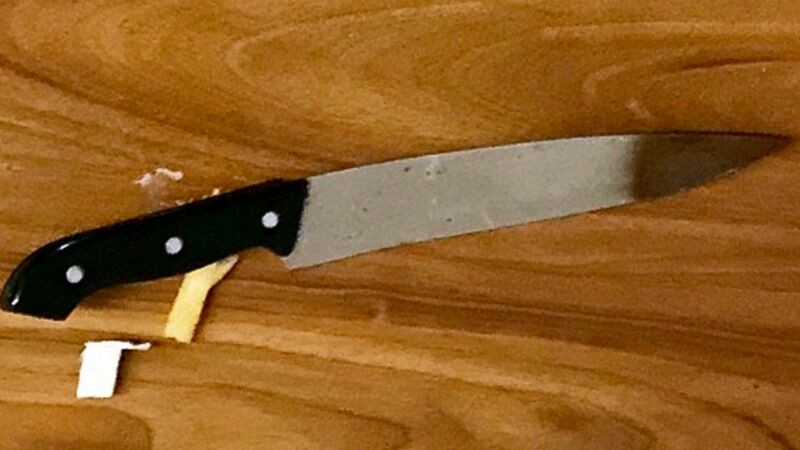 As they escorted the man toward the hallway, he was at first "calm and compliant," Monahan said, then suddenly broke away, grabbed the large knife in the kitchen and started stabbing the victim. The chief said the officers responded, quickly firing a total of five shots. The attacker was declared dead at a Manhattan hospital. Police identified him as Joshua Williams, 32. The victim was hospitalized in stable condition and is being treated for slash and puncture wounds to his face and left shoulder. "Our preliminary investigation shows there is a history of domestic violence between these two individuals," Monahan said. An order of protection had been issued earlier this week against the attacker. The 6th floor apartment is located on Cherry Street off the FDR Drive. It's the third police shooting in New York City in 10 days. Monahan said both officers were wearing body cameras that captured the shooting.